If the Meaningful Use program is going to have the desired effect to transform the healthcare industry, Stage 3 is going to have to be pushed back, and interoperability must take center stage, according to CHIME. Earlier this week, the organization submitted comments asking the federal government to give providers more time to adjust to recent changes to the program before mandating new and burdensome Stage 3 requirements. Extending the timeframe for Stage 3 no sooner than 2019 would allow all stakeholders — including policymakers, providers and vendors — to fully implement modifications made in October to Stage 2, and to focus energies on the critical issue of interoperability, the organization stated. 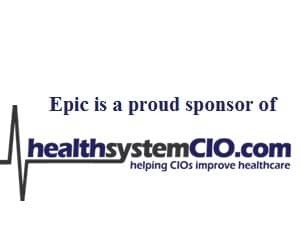 Although CHIME recognizes that the MU program has made “significant progress in implementing information technology systems to improve patient care and reduce costs,” leadership doesn’t feel that the course laid out by CMS for Stage 3 will help in achieving critical goals, including “better alignment of quality improvement efforts and widespread health information exchange,” said CHIME Board of Trustees Chair Chuck Christian. The organization is advocating for a “laser-like focus on interoperability,” with emphasis on finding a safe, secure and accurate methodology for patient identification, while also being vigilant about protecting patient information from cyber threats and data breaches. Christian also noted concerns among CIOs and IT vendors that the Stage 3 timeline is unrealistic for ensuring that certified products are available in the marketplace. Starting Stage 3 no earlier than 2019 and only after 75 percent of all eligible providers have met Stage 2. Removing the 2017 transitional year for meeting Meaningful Use Stage 3 and require 2015 Edition CEHRT no earlier than 2018. Creating a 90-day reporting period for every year of the program, including the first year at Stage 3, to allow providers adequate time for upgrades, planned downtime, fixes related to technology or optimizing the use of new technology within workflows. Creating parity for both eligible providers (EPs) and eligible hospitals (EHs) by removing the existing pass/fail approach for Meaningful Use. Reducing the burden for providers by streamlining reporting redundancies and refraining from requiring data collection and submission on measures that do not advance patient care.